Carrie Ryan's short story "Hare Moon" has the same creepy, forbidden vibe as her first book, The Forest of Hands and Teeth, and shares the same setting. 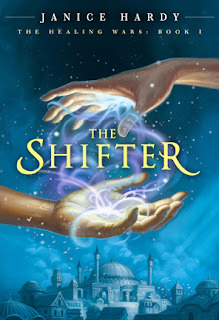 The protagonist is a young Tabitha, a minor character in her debut, who, like Ryan's character Mary, dreams about moving beyond the fences and seeing the world. Unlike Mary, Tabitha is bold, and tension builds throughout the story as she carefully dares to test her boundaries and meets a mysterious boy from another village. Their secret romance is electric, and danger and risk keep the reader entranced. 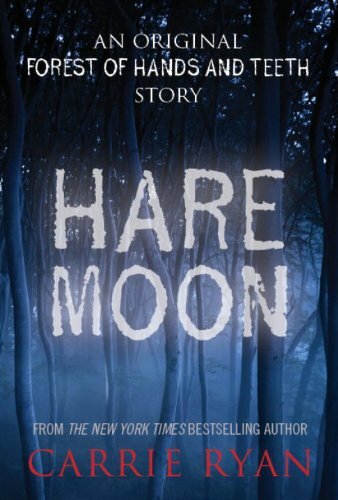 Like Ryan's full length novels, "Hare Moon" comes with moral dilemmas, brutal circumstances, and when those circumstances force Tabitha to make a series of impossible decisions, her actions will leave readers shell-shocked. This short story compliments Ryan's trilogy nicely, giving it a little background information that will make the novels appear richer, in an elegant and chilling package. The bottom line--this short story is worth the money. "Hare Moon" is available as an exclusive e-book for only $1.99! If you are looking for more short stories set in Ryan's zombie-filled world, check out "Bougainvillea" in the Zombies vs. Unicorns anthology! Props to the fantastic publicity department at Simon and Schuster last Monday for the spectacular blogger event they put on for us. In addition to feeding us lunch (thanks, guys! It was yummy), they also brought in Elizabeth Miles, author of the upcoming novel Fury, and Ellen Hopkins to give us readings, took us to the top of the Rock, and then the best part, gave us a special preview of some great books coming out later this year and early next year! And, since that information is just too exciting to NOT share, here is a recap! First up, our lovely first presenter at the event was Elizabeth Miles. Her book Fury comes out on August 30th, and is about what happens when the three Furies decide to exact vengeance in a small Maine town. The reading that Elizabeth did gave me shivers, and I'm super excited to begin reading this one! 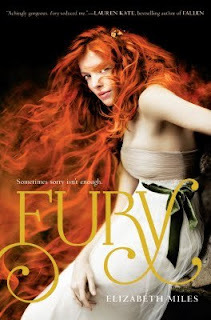 I definitely think that Fury is a book that you will be hearing a LOT more about in the coming months. 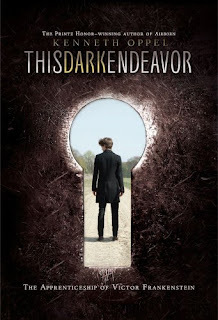 Another book that sounds absolutely fascinating is This Dark Endeavor: The Apprenticeship of Victor Frankenstein , written by Kenneth Oppel. First off, I love the title, and the way the cover is designed, where you can see through the keyhole. You just know that this is bound to be so, so interesting. It comes out August 23rd! Some other popular books that are probably already on your radar are Perfect by Ellen Hopkins and Goliath by Scott Westerfeld. I saw Ellen for the second time at Simon and Schuster, where she gave a very interesting and thought provoking talk and read some passages from Perfect. She is such an excellent speaker--I love her books as much as one can love poetry about some of the darkest aspects of life. I also saw Scott Westerfeld briefly on Wednesday at his signing at BEA! I got my copy signed, and am reading it now! Let me tell you--it's seriously amazing! I don't want it to ever, ever end! Yet, I also need to find out what happens...you know what that's like, right? Okay, so we all know that dystopian novels are like, THE thing right now in YA. and that's totally awesome. I love reading about post-apocalyptic worlds. But the thing is, there needs to be an apocalypse in order for these stories to be possible, right? So how come there aren't any books about the apocalypse? 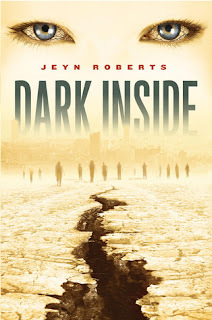 Well, Dark Inside by Jeyn Roberts is that sort of book. 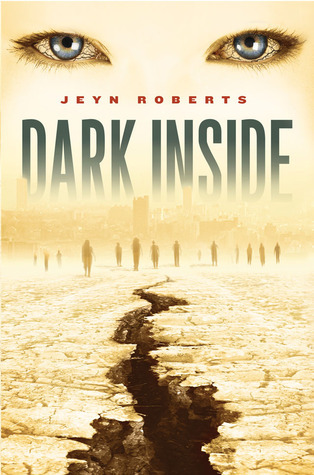 Four teens barely surviving the world falling apart? Yes, please! My only sorrow is that this one doesn't come out until November 1st! Virtuosity , which has like, the coolest cover ever, is another book coming this October that everyone was really excited about. Written by Jessica Martinez, this one is about a girl whose drive to become one of the best teen violin players in the world puts her under a crippling amount of stress. And her anxiety isn't alleviated any when she falls for her competition. Sound intriguing? 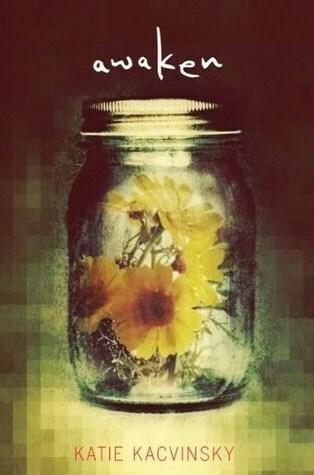 And isn't the cover amazing? This next one seems especially enticing to me! 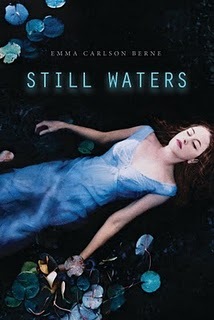 Still Waters by Emma Carlson Berne is about what happens when Hannah goes on a romantic getaway with her boyfriend...only to have him not act the way she expects him too. And in a deserted area, it's especially hard to get away from someone. Tell me you're not interested. Because I just lugged home countless of books, and somehow it seems that when I see this cover, it's the only one I can think about. Of course it wouldn't come out until December 20th. The cruelty. I'm also super excited for Kimberly Derting's next book, The Pledge , especially since I study a lot of languages in college (I've got a minor in Spanish, working on one in French, and have taken Ancient Greek). This one is about a world where your class is determined by your language, and to speak another language is a crime punishable by death. So, naturally the heroine can speak every language and the mysterious new guy speaks one she's never heard of before. I want it, now. Of course, this one doesn't come out until November. 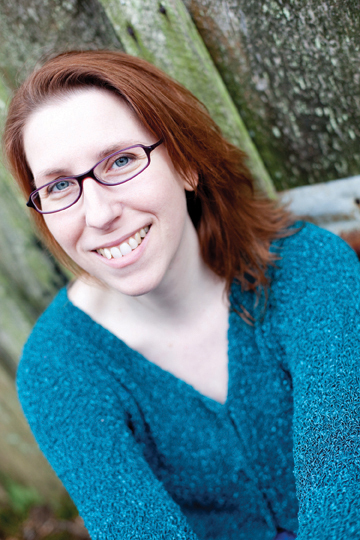 We also learned the title of Lisa McMann's next YA book, Dead to You, which comes out early next year. Definitely stay posted for more info on that! (I actually met Lisa on Friday--she is the sweetest!!) 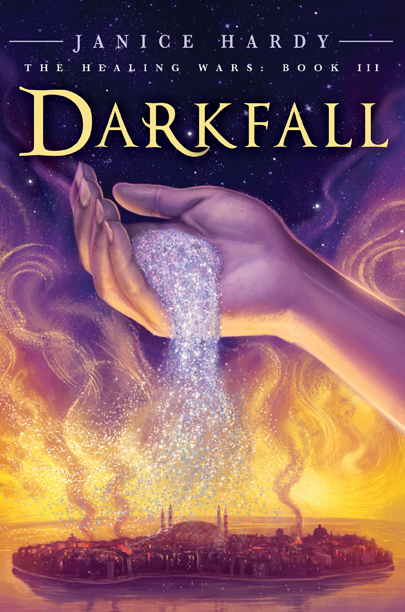 The sequel to Darkness Becomes Her (which I really enjoyed) is called A Beautiful Evil, and we caught a glimpse of the cover, which a pretty awesome (will post it once I can find it online). 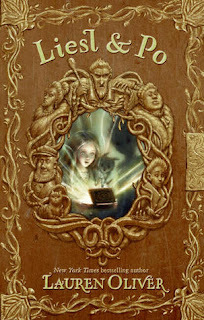 Also, are you a fan of Lauren DeStefano's Wither? (I adored it!) 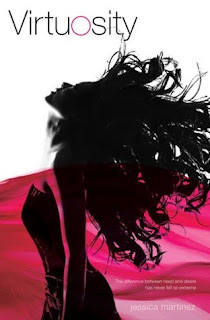 The second book will be called Fever, and unfortunately, that's about all we found out! The cover reveal will happen in July, piece by piece, and there will be limited ARCs, so you can bet that I'll be reading it when the rest of you do! I'm super excited for it! That's about all I remember...except, I wrote down Where it Began by Ann Redisch Stampler...and now I can't remember a single thing about it, except it comes out earlier next year, and I thought it sounded awesome! Memory fail. Which book do you think you are looking forward to the most? Let me know your thoughts! Janice Hardy always wondered about the darker side of healing. For her fantasy trilogy THE HEALING WARS, she tapped into her own dark side to create a world where healing was dangerous, and those with the best intentions often made the worst choices. 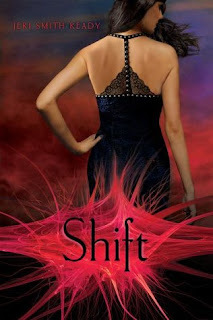 Her books include THE SHIFTER, and BLUE FIRE. DARKFALL, the final book of the trilogy, is due out October 4, 2011. She lives in Georgia with her husband, three cats and one very nervous freshwater eel. You can visit her online at www.janicehardy.com, chat with her about writing on her blog, The Other Side of the Story (http://blog.janicehardy.com/), or find her on Twitter @Janice_Hardy. To me, writing is a bit of a psychological experiment. I love creating morally gray situations and seeing how my characters are going to react to them. What they’ll do, what lines they’ll cross. How far are they really willing to go to get what they want? 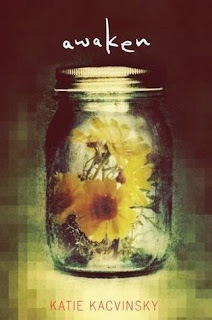 In my fantasy adventure trilogy The Healing Wars, I experiment with how far someone might go to save a family member. My heroine, Nya, discovers her little sister Tali has disappeared and she has to find her and get her back. What made this especially interesting to me is that Nya has the unique ability to heal by shifting pain from person to person. To help someone, she has to hurt someone else. So it made sense to push this idea a step further and have Nya choose between hurting others and saving her sister. To gray up the morals even more, Nya’s shifting ability can also get her into a lot of trouble if she uses it. Her city is currently under enemy occupation, and if the soldiers find out she can shift pain, they’ll capture her and use her as a weapon against her own people. She’s really stuck – risk herself, risk strangers, risk friends, risk family. No matter what she chooses, someone is going to suffer for it. These moral dilemmas are what I love exploring. For example, in the novel there’s a terrible accident where hundreds of people are injured. Afterward, Nya meets someone who needs her help. His father was injured, is dying, and he needs Nya to heal him and shift his pain. The catch? She has to shift it into this boy and his younger brothers and sister (very young, like 10 and 8). Does she hurt children to save their father? Risk trading their lives for his? And this request comes with the offer of food and a place to sleep for the night. Something Nya desperately needs at that point in the story. Maybe it’s my dark side coming out, but putting my characters into tough situations just to see what they’ll do makes the writing more interesting. How far can I push Nya before she digs in her heels and says no way? Can I make her do what she swore she’d never do? 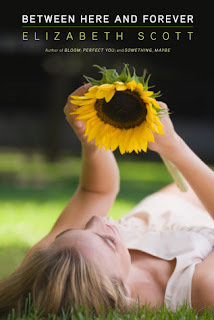 Can I have her make a horrible choice she deeply regrets, then force her to do it again? When choices are easy in a story, it’s clear how the characters will decide. Giving my characters impossible choices makes it more unpredictable – both for me and the reader. You never know where a choice might lead, but you’re pretty sure it’ll end badly for someone. And when they do make a hard decision, you cringe right along with them. It also makes me think about what I’d do in that situation. Would I make the same choice Nya does? The same sacrifice? It’s actually a lot of fun to have a character choose something I wouldn’t do. It’s like I get to explore other options without the consequences. And playing “what if” has always been one of my favorite games. Exploring the moral gray area is central to all my stories. My miniature studies of human nature, even if I’m the one making up all those humans. Hmmm…do you suppose it’s really a study of me? Maybe my dark side is stronger than I thought. On Monday, I was one of fifteen bloggers that went to the HarperCollins Teen Blogger breakfast where we met with the publicity department and talked about upcoming books this fall that we should have on our radar. It was a really fun time, and we also received a fabulous goody bag with all the talked about titles, so you can definitely expect me to be talking them up as I read them over the next few months! 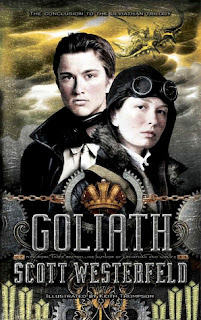 First up, we have Liesl & Po , the latest from mega-awesome and all around cool author-lady Lauren Oliver. Unlike her previous books, Before I Fall and Delirium, this one is a little younger. Technically a middle grade book, this one was pitched as a timeless read that any age can get into. 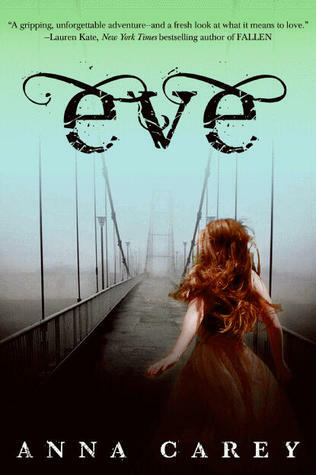 I just love the look of the cover, and I love Oliver's writing. I think that, know her, Liesl & Po will be engrossing and surprisingly poignant and entertaining. 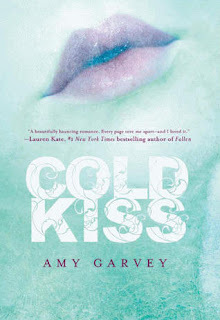 Cold Kiss by Amy Garvey comes out on September 30th, and is about a girl who casts a spell to raise her boyfriend from the dead. It seems like it's less comical and more romantic and drama-filled. I like the cool cover, and while this is a book I might normally shy away from, I'm pretty pumped for it after hearing everyone at Harper gush over it. 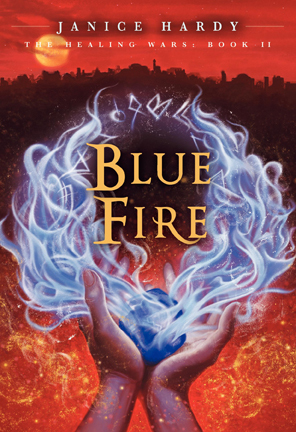 Finally, finally, finally another fantasy novel! 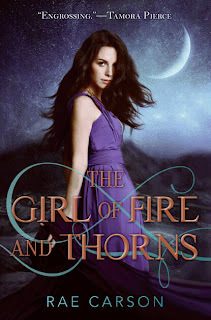 The Girl of Fire and Thorns by Rae Carson looks awesome, and check out that cover! I love the dress. This one was pitched as an imaginative book about an "average princess". It doesn't have magic, but it is supposed to be a great fantasy read, and I am excited. Look for this one on September 20th. Lately it seems to me that many dystopian books have just been so similar. It's a bit depressing, because I really love the genre. However, Eve by Anna Carey has gotten me pumped! The publicists pitched this one as a dystopian road trip, where the female main character has been raised to believe that all men are evil...only to discover the terrible truth on the eve of her graduation. This comes out on October 4th. 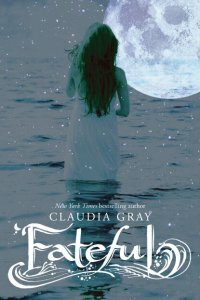 I wasn't a huge fan of Claudia Gray's Evernight series (the first one was okay, but the twist was just upsetting to me), but I am interested in starting Fateful , just to see how she deals with the story line...Titanic. With werewolves. Don't tell me you're not curious, because I know you are. Your curiosity can be satisfied on September 13th. This next one was HUGE at BEA this past week, and the HarperTeen editors were super excited about it! Shatter Me by Tahereh Mafi had a signing line that almost bested Richelle Mead and Ally Condie, and they ran out of ARCs. This one comes out on November 15th, and is about a girl whose touch is fatal and the decisions she must make concerning her lifestyle...half of the Casa de Blogger started it immediately and they are in love! Supernaturally by Kiersten White is the sequel to Paranormalcy, a most hilarious and quirky book. (Read my review here.) It comes out July 26th, and if it's half as funny as the first, I'll be a very happy person. Enough said. 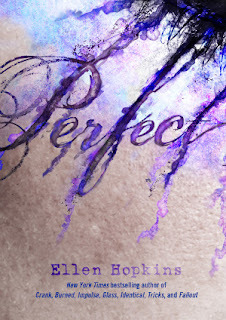 You all know about HarperTeen's site inkbop, right? It's an excellent place where you can post your writing, and get a chance at having it read and reviewed by a Harper editor. 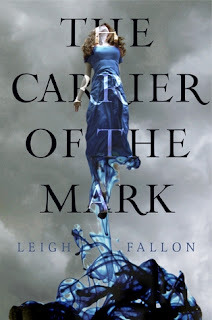 The next book that we talked about, The Carrier of the Mark by Leigh Fallon, was actually discovered on inkbop. 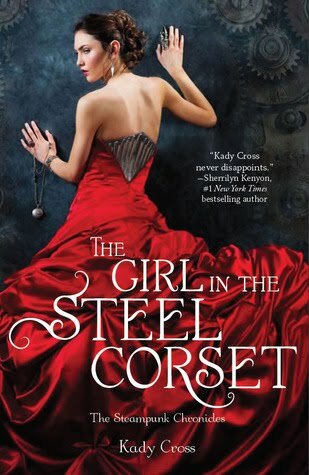 This one comes out on October 4th, and the cover is ah-mazing! These next two weren't talked about at the breakfast, but were some interesting ones I picked up at BEA on Tuesday and Thursday. Frost by Marianna Baer is a supernatural/haunting about strange happenings at a tiny house at a boarding school, and the four girls who are living there...and not exactly getting along. I started it on the train home one day, and it was very, very readable. It comes out on September 13th. 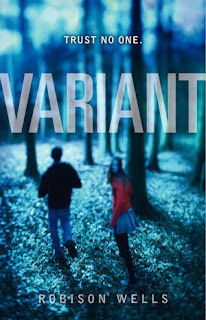 The last one I want to talk about is Variant by Robison Wells (another one with a very cool cover)! It's also about a boarding school...with a terrible secret and fences that keep students on. I am very intrigued by this one, and I hope you are too...it comes out on October 18th, so put it on your radar! That's just a very small sample of what I've received this week and hope to start reading. A HUGE thanks to HarperCollins for having us to their offices, feeding us, and loading us down with goodies. I am so excited to get reading! What do you think about these books? Which one are you looking forward to the most? 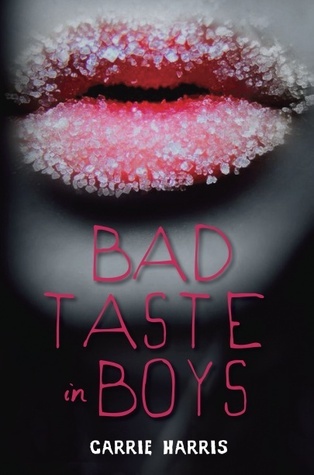 So, there's this fabulous little book called Bad Taste in Boys , written by the hilariously awesome Carrie Harris...who just so happens to live kinda near me. She had a book trailer made for her book (it's about zombies. There's a zombie in the video) and she invited me and Shanyn of chickloveslit.com to the filming! If you watch below, you'll probably catch a few short glimpses of us (well, mostly Shanyn. I have my back to the camera). What do you think of the video? Will you buy it when it comes out on July 12th? If not, Carrie will sick the zombie on you. She has that kind of power. "Someone's been a very bad zombie. 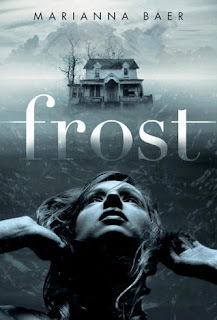 Kate Grable is horrified to find out that the football coach has given the team steroids. Worse yet, the steriods are having an unexpected effect, turning hot gridiron hunks into mindless flesh-eating zombies. No one is safe--not her cute crush Aaron, not her dorky brother, Jonah . . . not even Kate! She's got to find an antidote--before her entire high school ends up eating each other. So Kate, her best girlfriend, Rocky, and Aaron stage a frantic battle to save their town . . . and stay hormonally human." Aura’s life is anything but easy. Her boyfriend, Logan, died, and his slides between ghost and shade have left her reeling. Aura knows he needs her now more than ever. She loves Logan, but she can’t deny her connection with the totally supportive, totally gorgeous Zachary. And she’s not sure that she wants to. Logan and Zachary will fight to be the one by her side, but Aura needs them both to uncover the mystery of her past—the mystery of the Shift. As Aura’s search uncovers new truths, she must decide whom to trust with her secrets…and her heart. You can check out my review of Shade here, and my review of Shift here. Also, find more info and fun stuff at the book's website! Still not convinced? Watch the trailer! All you need to do to enter is comment below and tell me who your favorite ghost is--from Peeves to Jesse from Meg Cabot's Mediator series (he's definitely mine! ), I want to know! Sorry, this contest is for U.S. residents only!